After a raid on the National Bank in Kells, Co, Meath in 1969, Saor Eire issued their first official statement to the press claiming responsibility for the robbery and describing themselves as the Saor Eire Action Group. They signed the statement as Michael Price, using the name of the 1930s socialist-republican leader and claiming that the money would be used to finance a movement which would strive for a Workers’ Republic. The organisation had already become partly known, however, for daring bank raids. They had commenced expropriations from Irish banks with a raid on the Royal Bank in Drumcondra, on February 27, 1967. This was followed by raiding a Munster and Leinster Bank in Tallaght on April 11, 1968. On Tuesday, June 20, 1968, three armed raiders wearing false beards including Sean (‘Ructions’) Doyle, a veteran from Operation Harvest (the 1956-1962 IRA Border Campaign), entered the Hibernian Bank in Charlotte Street, Droichead Nua (Newbridge). Shouting “this is a hold-up”, they held the manager, Michael Waldron, and the bank employees at gun point while searching unsuccessfully for a Free State Army payroll that, according to their intelligence, was destined for the Curragh Army Camp. While one man guarded the door, his two comrades vaulted the counter and empted £3,474 of bank-cash into a large bag. The veteran socialist-republican Tommy McKearney will be one of the speakers at the March For Connolly on May 14th in Dublin City. 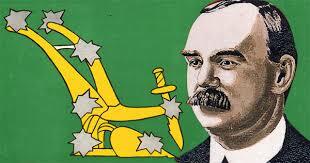 The March For Connolly will mark the hundredth anniversary of the execution of James Connolly on May 12th 1916. McKearney, a former H-Block hunger-striker, author, trade unionist and anti-austerity activist, has consistently argued that socialism is the key to achieving Irish national, economic and social freedom. The March For Connolly represents a once in a century opportunity for citizens to send a message to the political establishment – Connolly may be dead, but his politics are alive and well in the Ireland of 2016. Join the March For Connolly, assembling at 2pm on May 14th at the Wolfe Tone Monument on Stephen’s Green for Parade to the GPO. Other speakers will be confirmed in the coming days. I’m well-disposed towards the 1916 Societies, so this short piece should be taken as a disagreement in a comradely spirit. I think this is not only wrong historically but it has some important political implications for today too. The IRB was not the driving force behind the Rising and nor could it be. 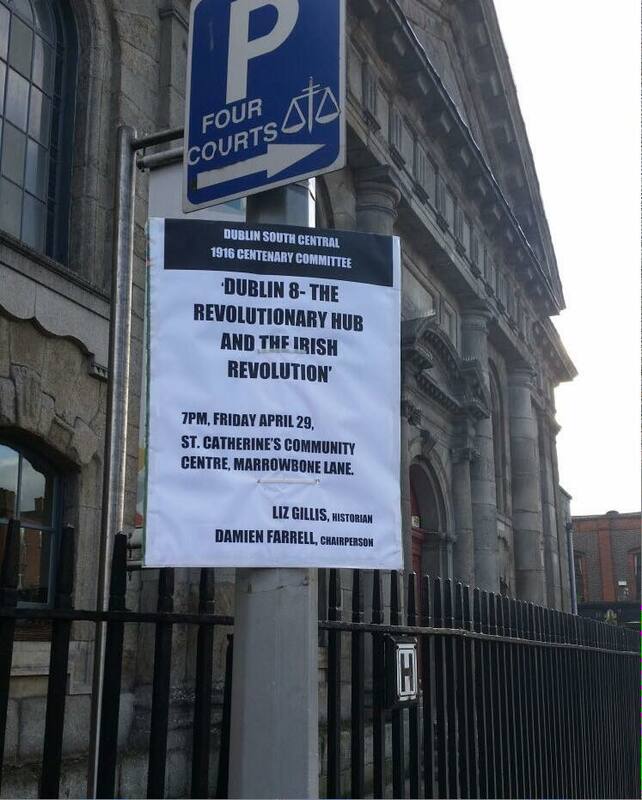 Connolly, Mallin, Markievicz and the Irish Citizen Army made up the driving force. From the time the First World War broke out, Connolly determined on a Rising and began preparations. The IRB position was rather more confused. The left of the IRB – Clarke, Pearse, Mac Diarmada etc – also wanted a rising, but the situation in the IRB was far more complicated as the organisation contained far more equivocal figures, like Bulmer Hobson, and wavered continually. The classic example is that the IRB capitulated to Redmond’s demand for a bunch of his sycophants – 25 of them I think! – to be added to the leading body of the Irish Volunteers. If you are the driving force for an imminent rebellion you don’t agree to have a large number of opponents of such a rebellion being added to the leadership of what is ostensibly to be the main force of the rebellion. And, utterly predictably, when war came, the Redmondite element of the Irish Volunteer leadership supported British imperialism and they and Redmond took the vast majority of the members of the Volunteers out of the movement and into the British Army and onto the imperialist killing fields in France. The IRB leaders who were responsible for the capitulation of Redmond had not only made a serious political error, they had in effect sabotaged the Volunteers. Several hundred people attended éirígí’s annual Easter Rising commemoration in Belfast on Monday 28th March. Led by a seven-person colour party and young people carrying portraits of the 1916 leaders, party members and supporters paraded along the Falls Road shortly after one o’clock to Milltown Cemetery where a commemorative ceremony was held at the original Republican Plot. The proceedings were chaired by Sharon Pickering. In her introductory remarks, Sharon made special mention of Belfast-born Winifred Carney who, along with Julia Grenan and Elizabeth O’Farrell, remained with the GPO garrison throughout the entirety of Easter week. She added, “We must remain focused on our enemies and confident in ourselves. The struggle requires a systematic approach, it requires efficiency, sustainability, and we must continuously challenge and question ourselves.